The Moher flagstone is characterized by the fossil tracks of a marine worm, that traversed the sediments, which formed the rock 350million years ago. Typical blue black in colour with some varieties of reddish hues, it has a textured surface with high non-slip properties. 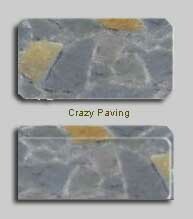 A high silica stone, it is very hard and has superb mechanical and weathering properties. 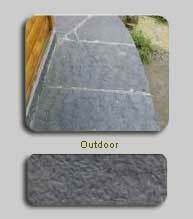 The material is ideal for both indoor and outdoor paving. In addition to paving stone 20mm to 40mm thick we have material 50mm to 150mm thick which can be cut to any size and is ideal for wall capping, kerbing etc. 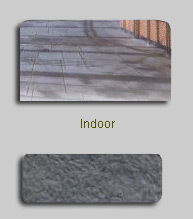 In addition to the traditional Liscannor flagstone we can offer a wide range of other flagstones of different colors and textures equally suitable for flooring indoors and outdoors and 20mm to 30mm thick.